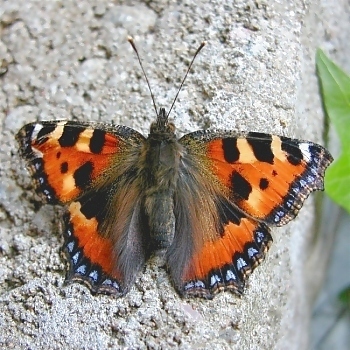 Habitat: The Small Tortoiseshell is widespread throughout Ireland. There are two broods annually. 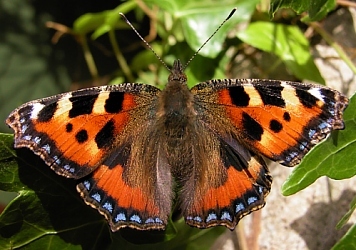 its hibernation habits, is one of Ireland's best recognised species. Nettle Urtica dioica. They can be found from March onwards but more commonly in April/May and July/August. ground colour, and two broken bands of yellow along each side. 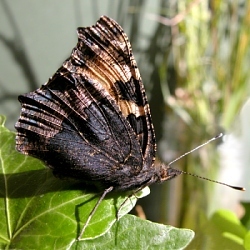 Spiracles are black and ringed with yellow. leaves as each leafy tent is consumed. By the final instar in May/June (1st brood), and July/August (2nd brood) they become more solitary. 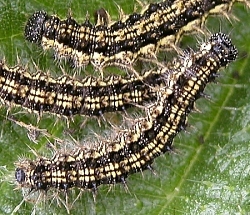 The larval stage takes approximately 4 weeks after which the larvae enter the pupal stage. suspended from a silken pad by its cremasteral hooks.